One person's youth rejuvenation might be another's return to normalcy, according to new research published in JAMA Facial Plastic Surgery. In a joint collaboration by Johns Hopkins and Stanford university, study authors tested out a noninvasive cosmetic surgery typically used to make lips appear fuller on 25 volunteers suffering from various types of facial paralysis, including paralysis caused by muscular dystrophy. They found that across the board, some level of lip function was restored, allowing the volunteers to better articulate "b" and "p" sounds and grasp onto a straw or drink from a cup. With the study spanning from 2008 to 2014, the authors recruited 22 patients who were suffering from unilateral facial paralysis and three with muscular dystrophy (MD), a progressive hereditary condition that causes muscle weakness and often times paralysis — the three with MD dealt with lip weakness on both sides of their face. 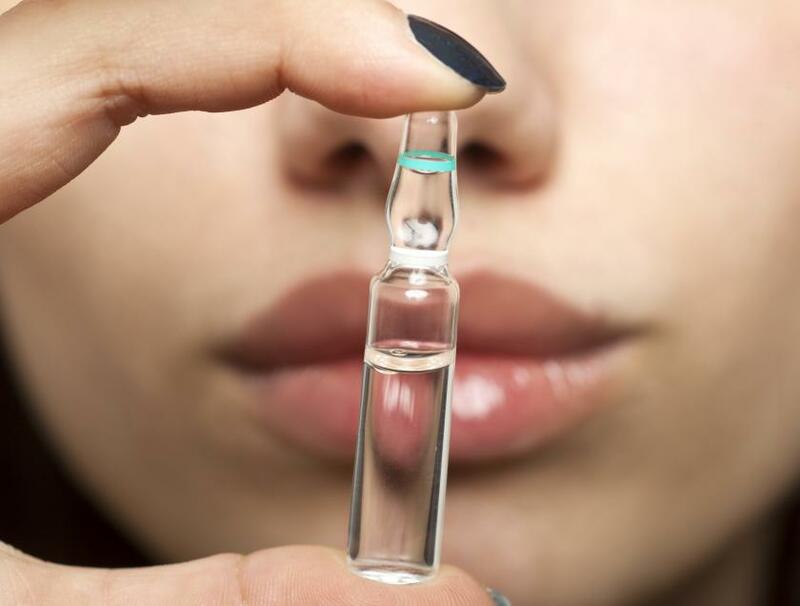 Evaluating their lip strength via a tool that would measure the pressure placed onto it by the subjects' lips, the authors then injected the weakest areas of the lip with hyaluronic acid, which has been routinely used for what the authors call "aesthetic soft-tissue augmentation." But as far as they knew, it hadn't been widely considered for this therapeutic purpose before. A speech therapist also evaluated the subjects before and after the injecton. Their results were nothing but encouraging. The subjects' lips were uniformly stronger, even in the unparalyzed part for the unilaterally paralyzed group, and the difference was especially stark for those with muscular dystrophy. "Lip strength in the three patients with facioscapulohumeral muscular dystrophy were uniformly reduced across the entire lip and improved by six- to seven-fold after injection augmentation," they wrote. These objective improvements were reflected in the real world with the speech therapist noting increased "articulation of plosive sounds and decreased anterior bolus spillage (which may cause drooling when attempting to eat or drink) after the injection." These changes weren't permanent, lasting only for six months, and the injections didn't restore full function, but the added degree of freedom they enabled the subjects can't be understated. "The ultimate utility of therapeutic lip filler injection in facial paralysis is the improvement in quality-of-life measures, such as improved articulation, better discrimination of conversational speech, and correction of anterior bolus spillage, with associated improved confidence in public and social settings," they wrote. "This study reveals improvement in most of the above measures." The authors hope that later and larger studies will help to better quantify these improvements in patients' quality of life and explore different and longer-lasting types of filling material, like transplanted fat. In the meantime, their current treatment may already go a long way for those dealing with temporary paralysis. "The hyaluronic acid injection may be used while waiting for spontaneous functional recovery or as an adjunct to definitive reanimation procedures," they wrote. Source: Starmer H, Lyford-Pike S, Ishii L, et al. Quantifying Labial Strength and Function in Facial Paralysis Effect of Targeted Lip Injection Augmentation. JAMA Facial Plastic Surgery. 2015.